Believing in Arthurian Genealogy – Travesty or Inspiration? Recently, I received a comment on one of my previous posts Is the British Royal Family Descended from King Arthur? where the respondent said, “So please take haste in removing such a travesty from the eyes that would believe.” In other words, he feared my readers would believe that King Arthur was real and the royal family descended from King Arthur. Obviously, I didn’t remove the post. The theories that the British Royal Family might be descended from King Arthur are so old that I doubt my post will make any difference; when generations of scholars and hopeful royals have tried to prove such a connection, I’m certainly not going to be able to find the missing evidence. But the idea of Arthurian genealogy and a link to the British royal family is more important than just a matter of whether it is true or not. What really matters is that people want to believe in King Arthur and claim a connection to him. Back in the Middle Ages, the English royalty wanted to make such a claim to legitimize somehow their right to rule. Of course, if King Arthur did live, scholars are pretty certain he was more likely a warrior chief of some sort and not the ruler over all of Britain. The Irish have a saying, “We are all the sons and daughters of kings.” The British and all people might as well have the same saying because it’s true. Anyone interested in genealogy knows that it is not difficult to find a link between oneself and a royal family. Sometimes it’s easier than other times, but usually if you can go back far enough and the records exist, then you can find that link. I have found such links. 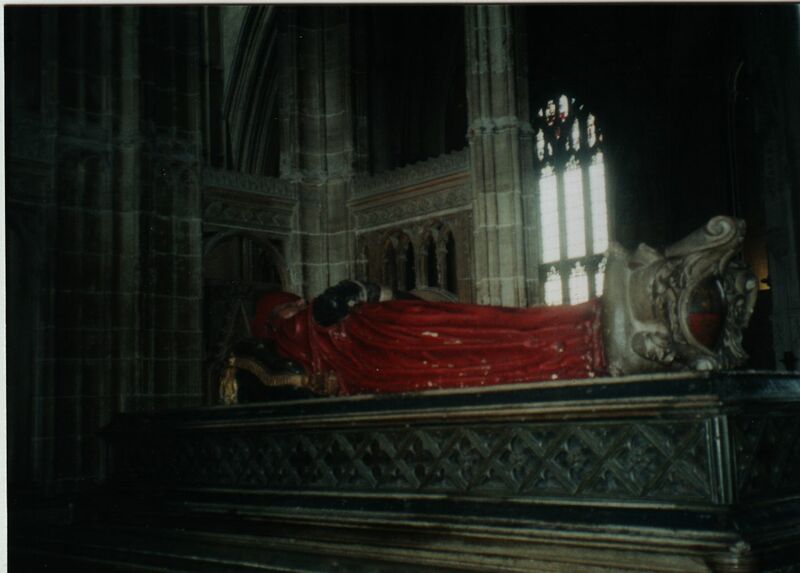 I am twice over descended from John of Gaunt, Duke of Lancaster, son to King Edward III (r. 1327-1377). 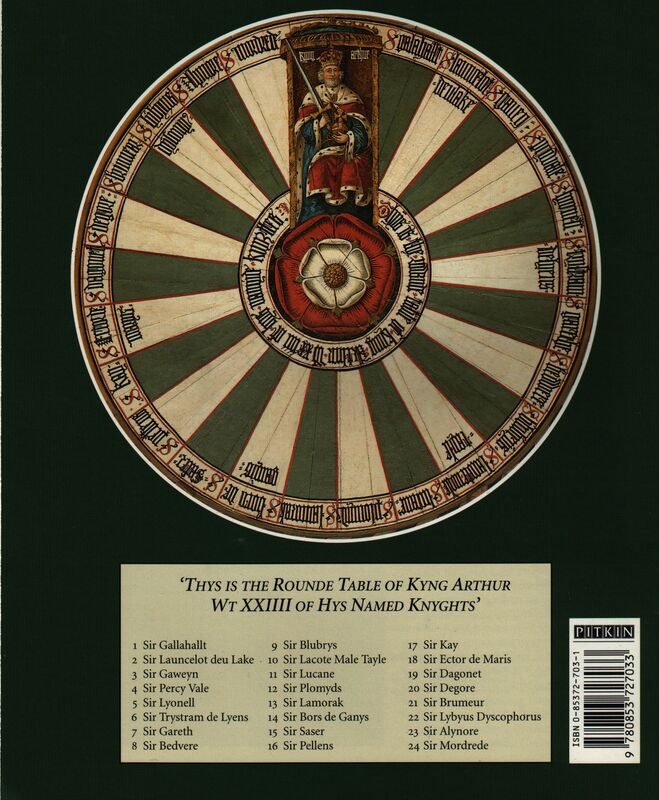 Edward III was one of those Arthurian enthusiasts who reputedly had the Round Table at Winchester built to support his claim to being Arthur’s descendant. And once you find you are related to one royal, you are pretty much related to all of them since all the royal houses intermarried with one another. Whether being related to royals is something to be proud of is another thing–many people start working on their family trees in the hopes to find royalty in their background, but the truth is most of those old kings and queens acted like monsters, constantly fighting one another, usurping thrones from their parents, brothers, sisters, burning people at the stake, spurning one wife or husband for another, basically acting like spoiled children – trust me, a royal lineage is not something to be wildly proud of. Furthermore, DNA and mathematical calculations make it clear that today, anyone of European descent can claim to be descended from anyone who lived in Europe prior to the year 1200 AD who had children. That means everyone who is of European descent is descended from King Arthur, as well as people we know are historical including Charlemagne, William the Conqueror, El Cid, Clovis, King of the Franks, and a host of others. And our African and Asian brothers are close to the same category. If an African went to Europe around the year 1200 and intermarried with a white person and they had children, then we are all descended from that African as well, which means we are probably descended from all the ancients of the African world from the Pharoahs of Egypt and onward. In my own family tree, I have found Maharajahs of India, Chinese and Byzantine emperors and kings from every house in Europe. Tomb of my ancestor Cardinal Beaufort, son of John of Gaunt - I am descended from his illegitimate daughter Lady Jane Beaufort, whose mother was the Archbishop of Canterbury's niece. Not only did Cardinal Beaufort have a child out of wedlock, but he also was responsible for burning Joan of Arc at the stake - obviously a member of the royal family whose descendant I am proud to be. How is this possible? Do the math. You have 2 parents, 4 grandparents, 8 great-grandparents, 16 great-great grandparents, and so on. Each generation back the number of your ancestors double: 32, 64, 128, 256, 512, 1024, 2048, 4096, 8192, 16384, 32768 – do you think you’d ever be able to document all 32,768 ancestors who make up your 13-greats grandparents? That generation would have probably lived in the 1500s–the time of Henry VIII, the Spanish Inquisition, Michelangelo – think how many people you might be descended from and just another half dozen back and you have over 1,000,000 ancestors, which would be about 1400 A.D. and another six generations back to about the mid-1200s and you have 64 million ancestors – there weren’t even that many people living in Europe at that time, which means most of the Europeans alive at that time are your ancestors numerous times over. For example, I know of at least 28 different ways I am descended from King Alfred the Great of England (reigned 871-899 A.D.) through various of his children, grandchildren, and great-grandchildren. If this is the case, then if King Arthur lived, of course he is the British Royal Family’s ancestor – and he is also your ancestor. But more importantly, not only are you descended from royalty, but you are descended from thousands of ancient peoples from every culture and nation, and that means, racism is ridiculous because race does not really exist. You have ancestors from England, Italy, Finland, Russia, Hungary, Spain, Egypt, Mesopotamia, India, China, Ethiopia, and in some cases, maybe even from the ancient peoples of North and South American, Oceania, Australia. What does this mean? It means we are all closely connected. It means the human story in all its aspects is our story. It means we are all the sons and daughters of kings and queens and farmers and goatherders and merchants and traders and slaves and peasants and dukes and knights and millers and barons and mariners and princesses. It means we should get along because we are all human and all not that far from being the same. King Arthur’s Camelot was that bright shining moment we can aspire to. We have so many ancestors that we can never learn about them all, never remember all their names, so let us hang onto King Arthur and try to live by the ideals that Camelot inspires. To believe in such a glorious ancestry may have a tad of a fictional element to it, but it is also to aspire to a world where we are all a community–to see a person as a human, not a Jew, not a Christian, not a Muslim, not white or black, not British or Indian or Libyan but human–a brother or a sister–a family member.